Abdominoplasty is performed using regional anesthesia or epidural combined with sedation. A full tummy tuck requires a horizontally-oriented incision in the area between the pubic hairline and belly button.The shape and length of the incision will be determined by the amount of excess skin. Once the abdominal skin is lifted, the underlying weakened abdominal muscles are repaired. A second incision around the navel may be necessary to remove excess skin in the upper abdomen.The upper abdominal skin is pulled down like a window shade. The excess skin is trimmed and the remaining skin is sutured together. A new opening for the belly button is created. The belly button is popped through to the surface and sutured into position. Sutures, skin adhesives, tapes or clips close the skin incisions and a surgical drain may be inserted under the skin to drain excess fluid from the surgical site. We also encourage patients who intend to lose a lot of weight to wait before undergoing the procedure, because skin in the abdominal area typically loosens after substantial weight loss. We take the time during every preoperative consultation to learn what patients want to achieve from a tummy tuck, both for their bodies and for their self-confidence. 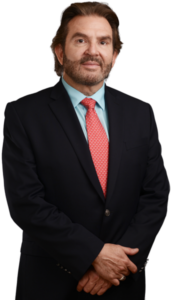 By listening to what you have to say and giving you a thorough physical examination, Dr. Ricardo Vega will provide you with a completely customized treatment that takes into account your specific goals, rather than performing a one-size-fits-all procedure. Tummy tucks take approximately two to five hours and are performed under general anesthesia. This procedure may be performed on an inpatient or outpatient basis, depending on the complexity of your surgery and Dr. Vega’s recommendation. Surgery involves two incisions: one from hipbone to hipbone close to the pubic area, and another around the navel. They will separate the skin from the abdominal muscles, which are then pulled together and stitched into place for a firmer abdomen and narrower waist. The skin flap is then stretched down and over the newly tightened muscles, excess skin is removed, and the navel is reattached in a natural position. Lastly, Dr. Vega will close the incisions and apply sterile surgical dressings over the sutured areas. After surgery, compression garments are worn and a temporary tube may be inserted under the skin to drain excess fluid from the surgical site. Recovery time ranges from two weeks to a few months. You should limit strenuous activity for at least six weeks, and may need to take off from work for up to a month. Dr. Ricardo Vega will give you specific instructions for your individual recovery. Following these instructions can help speed up your recovery, and reduce the risk of any post-surgery complications. Circuito Bursatil 9043, Suite 306, Piso 3 Edificio The F Tower, Zona Urbana Rio Tijuana, 22010 Tijuana, B.C.